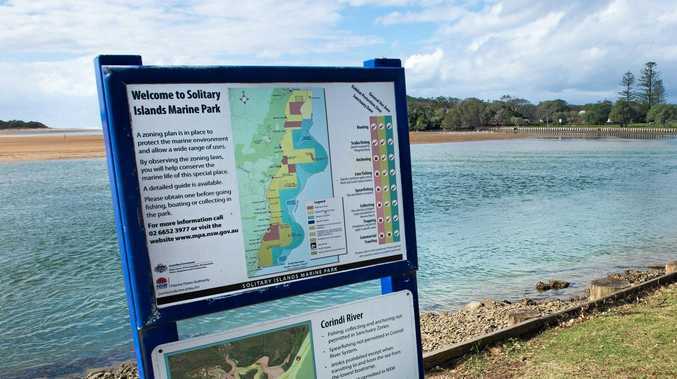 THE State Government has launched an education campaign aimed at backpackers on the Coffs Coast following an increasing number of reports fish and shellfish are being collected illegally from the Solitary Islands Marine Park. A new guide, comprised of simple pictures that can be understood by people of varying language groups, aims to help visitors understand the rules related to collection from the marine park. Department of Primary Industries Fisheries Marine Park Manager Nicole Strehling said the guide is part of a number of education actions planned to support visitors to comply with the regulations. "The rocky shores of the treasured Solitary Islands Marine Park are home to many fascinating animals, but in recent times we've seen an increase in collection by visitors to the area,” she said. In the Solitary Islands Marine Park, collection can only be undertaken by hand, and many areas are completely closed to fishing and collecting. "More than 16 per cent of the coastline is already completely closed to collecting of shellfish. Of all the species commonly found on rock platforms, only three are allowed to be collected - Oysters, Turban Snails and Periwinkles,” Ms Strehling said. DPI Fisheries Officers undertake regular patrols of rocky shores, and those found to be conducting illegal activity could be fined. Any suspected illegal fishing activity can be reported through the FishSmart app or to the Fishers Watch phone line on 1800 043 536.